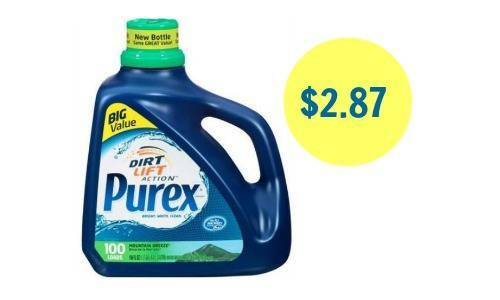 Head to Target to get a good deal on Purex laundry detergent! Combine a printable coupon with a Cartwheel, Ibotta, and gift card offer to get bottles of detergent for $2.87 each. Remember to look through the Target weekly ad as well to find more current deals. Makes it $8.62 ($2.87 each)! This offer is valid through 1/2.